April has been good for tilde~. 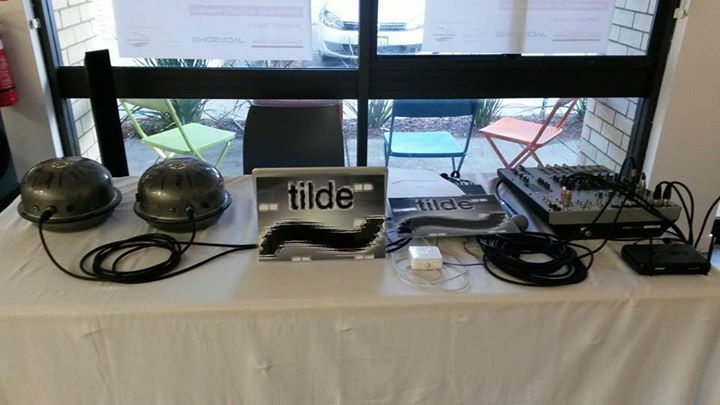 Following the resounding success of the performance at Contemporary Art Spaces Mandurah (CASM), tilde~ is lined-up to play at Noizemaschin!! #46 on the 28th. Then will be kicking off May at the Stretch Arts Festival in Mandurah from the Friday the 1st through Sunday the 3rd. This will be performances of live-coding to create a digital sound art patch in Max/MSP. The pieces will be interactive with a pair of Garrahands as input, as well as the utilization of the webcam on the laptop. It should all be tremendous fun. This entry was posted in tilde~. Bookmark the permalink.